SAMUEL BOLTON, D.D. (1606-1654), divine and scholar, who has been wrongly identified both with a son and a brother of Robert Bolton, B.D., was born in London in 1606, and educated at Christ’s College, Cambridge (LE NEVE, Fasti, ed. Hanly, iii. 690, 607). In 1643 he was chosen one of the Westminster assembly of divines. It is stated that he was successively minister of St. Martin’s, Ludgate Street, of St. Saviour’s, Southwark, and of St. Andrew’s, Holborn. He was appointed, on the death of Dr. Bainbrigge in 1646, master of Christ’s College, Cambridge, and served as vice-chancellor of the university in 1651. Although with ‘no ministerial charge’ he ‘preached gratuitously every Lord’s day for many years.’ It is believed that it was this Samuel Bolton who, in 1648, attended the Earl of Holland upon the scaffold (WHITELOCKE, Mem. p. 387). He died, after a long illness, Oct. 15, 1654. In his will he gave orders that he was to be “interred as a private christian, and not with the outward pomp of a doctor; because he hoped to rise in the day of judgment and appear before God, not as a doctor, but as an humble christian.” Dr. Calamy preached his funeral sermon. 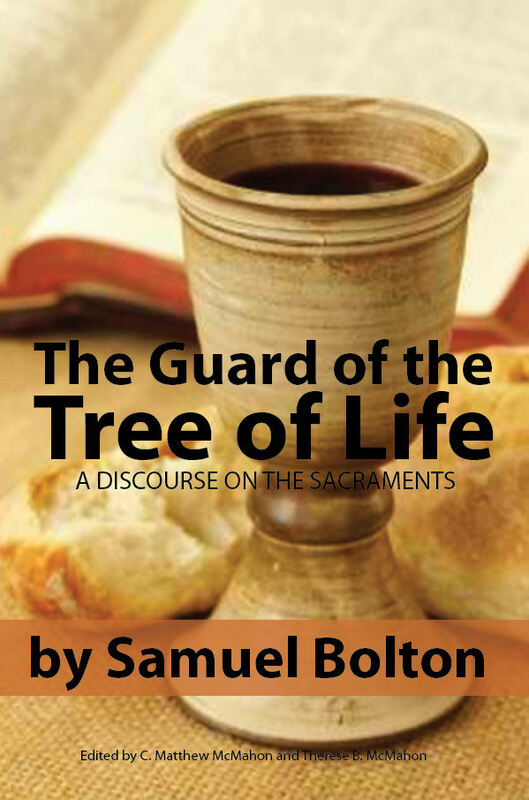 The Guard of the Tree of Life by Samuel Bolton – eBook; and Print Book HERE. “A Tossed Ship making for a Safe Harbour; or a Word in Season to a Sinking Kingdom,” 1644. “A Vindication of the Rights of the Law and the Liberties of Grace,” 1646. “The Arraignment of Error,” 1646. “The Sinfulnesse of Sin,” 1646. “The Guard of the Tree of Life,” 1647. Now Available at Puritan Publications. “The Dead Saint speaking to Saints and Sinners,” (portrait prefixed).